In a randomized, double-blind, controlled trial, the effects of oral treatment with coenzyme Q10 (CoQ10, 120 mg/day), a bioenergetic and antioxidant cytoprotective agent, were compared for 1 year, on the risk factors of atherosclerosis, in 73 (CoQ, group A) and 71 (B vitamin group B) patients after acute myocardial infarction (AMI). After 1 year, total cardiac events (24.6 vs. 45.0%, p < 0.02) including non-fatal infarction (13.7 vs. 25.3%, p < 0.05) and cardiac deaths were significantly lower in the intervention group compared to control group. The extent of cardiac disease, elevation in cardiac enzymes, left ventricular enlargement, previous coronary artery disease and elapsed time from symptom onset to infarction at entry to study showed no significant differences between the two groups. 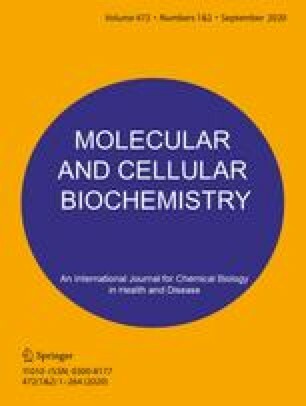 Plasma level of vitamin E (32.4 ± 4.3 vs. 22.1 ± 3.6 umol/L) and high density lipoprotein cholesterol (1.26 ± 0.43 vs. 1.12 ± 0.32 mmol/L) showed significant (p < 0.05) increase whereas thiobarbituric acid reactive substances, malondialdehyde (1.9 + 0.31 vs. 3.1 + 0.32 pmol/L) and diene conjugates showed significant reduction respectively in the CoQ group compared to control group. Approximately half of the patients in each group (n = 36 vs. 31) were receiving lovastatin (10 mg/day) and both groups had a significant reduction in total and low density lipoprotein cholesterol compared to baseline levels. It is possible that treatment with CoQ10 in patients with recent MI may be beneficial in patients with high risk of atherothrombosis, despite optimal lipid lowering therapy during a follow-up of 1 year. Adverse effect of treatments showed that fatigue (40.8 vs. 6.8%, p < 0.01) was more common in the control group than CoQ group.